The driver who struck and killed a pedestrian in the Dulles Eastern Plaza parking lot will spend 12 months in jail. 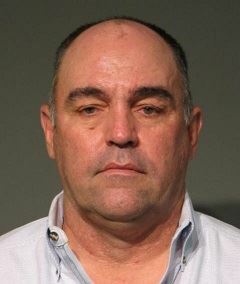 Richard Stephen Rosser, 52, on Feb. 28 pleaded guilty to a misdemeanor reckless driving charge in the case. On Feb. 9, 2017, Rosser was Ford F-350 pickup through the parking lot and failed to stop at a stop bar in the road. He then struck and killed Selma Elif Turkoglu as she walked in a marked crosswalk. Rosser told deputies that he was not able to see Turkoglu from his vehicle. Rosser was sentenced April 1 by Circuit Court Judge J. Howe Brown Jr. A request by the defendant to be evaluated for the Sheriff’s work force and work release programs was denied. “While nothing can lessen the pain caused by the loss of Mrs. Turkoglu, who was a wife and mother, I hope that this case serves as a cautionary tale to others who drive in reckless manner thereby putting the rest of us at risk,” stated Chief Deputy Commonwealth’s Attorney Nicole Wittmann. The case also spurred a wrongful death lawsuit filed on behalf of Turkoglu’s family against Rosser and TD Snow Removal Corp. Originally seeking $16 million in damages, the case was dismissed following a $3.5 million payout. 12 months for running someone over and killing them.. IN A PARKING LOT. How much more absurd can you possibly get? Let’s all take comfort in the fact that this idiot will be out and driving around amongst us by Easter 2020. Even a situation like this occurring in the street should warrant a much higher sentence.. but a parking lot? In a cross walk?